Weatherproof device covers provide weatherproof protection to a three-gang box. 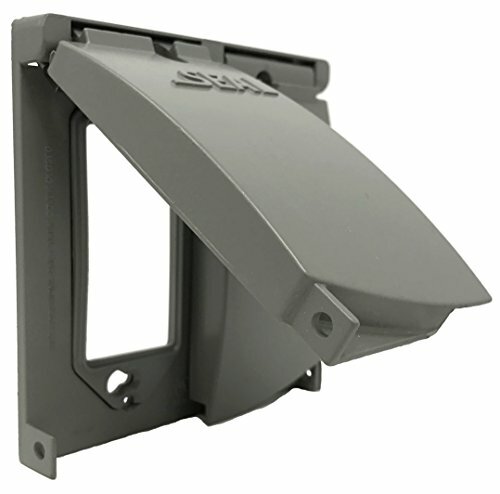 The covers are made from superior commercial quality die cast metal. The premium powder coat finish provides corrosion resistance. A gasket, mounting hardware and instructions are included. 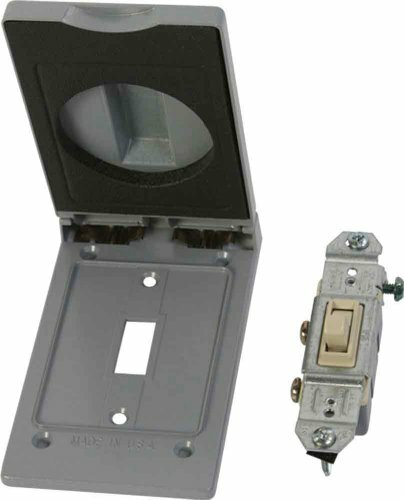 Single-gang toggle switch covers are designed to provide weatherproof protection for an outdoor on-off toggle switch. Covers are for use with weatherproof single-gang boxes. Covers are for mounting to a device. 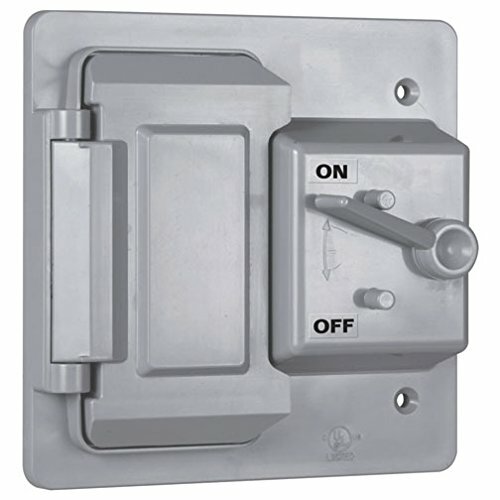 Two-gang toggle switch covers are designed to provide weatherproof protection for an outdoor on-off toggle switch. Covers are for use with weatherproof two-gang boxes. 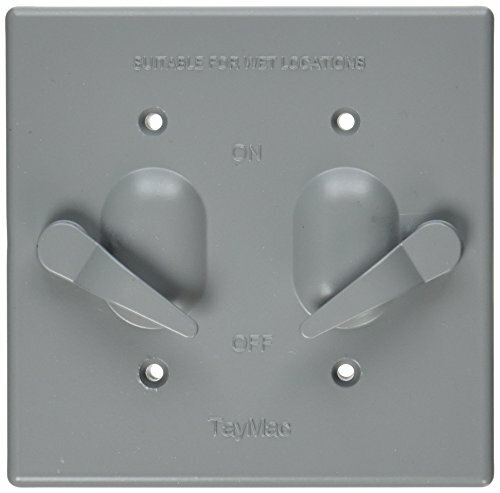 Two single pole switches are included. 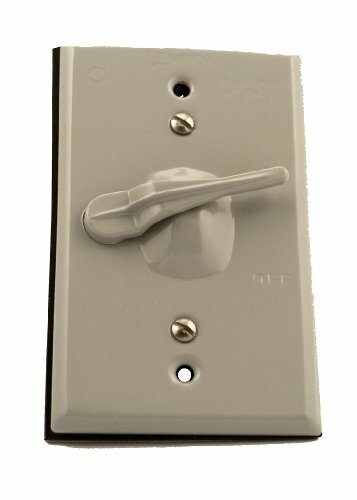 Complete your outdoor 1 gang electrical box with this UL Listed, cover kit, containing one lever switch cover and one single pole switch. This cover is made from corrosion resistant, diecast zamak alloy, and has a durable powder coat finish. It's easy to install, and comes with an instruction card, gasket, and mounting screws. Greenfield's high-quality, electrical products are engineered for success to stand the test of time and make sure the job gets done right the first time. Greenfield Industries is widely recognized as the industry's leading USA manufacturer of weatherproof electrical products. That's why people who make a living working in the electrical field know and respect the Greenfield name. Greenfield, We Take Pride In What Others Take For Granted. 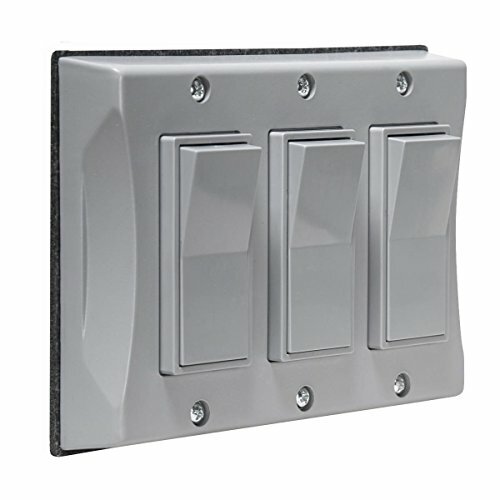 Outdoor Decorator Style Switch Covers provide an easy upgrade to contemporary switches for today’s outdoor living. Attractive appearance combines with ease of use and quality weatherproof protection. Applications include exterior wall mounted patio and deck lighting, BBQ islands, pool and spa controls. 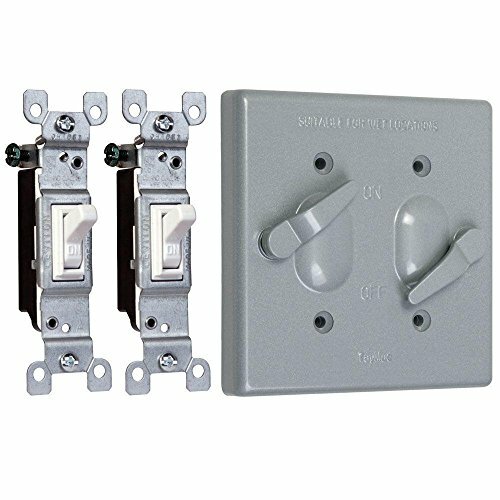 These models are compatible with single pole or 3-way decorator switches. 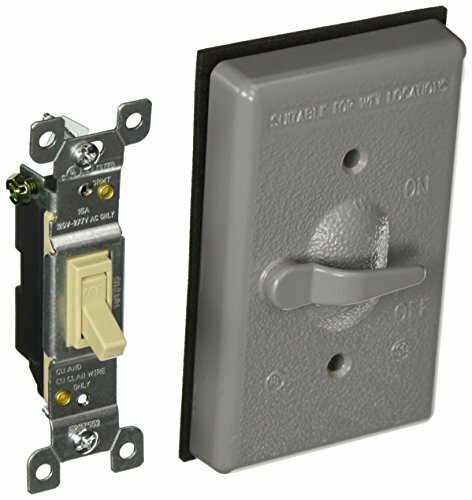 Nonmetallic Two-gang outlet covers are designed to provide weatherproof protection for an outdoor on-off toggle switch and a GFCI, round, or duplex receptacle. Covers are for use with weatherproof nonmetallic two-gang boxes. The covers are made of a durable high-impact Polycarbonate construction. 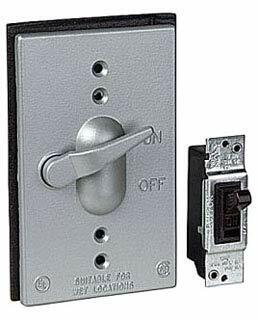 For use whenever weatherproof protection is required for an "on/off" type switch. Powder coat finish. Supplied with a switch unassembled to the cover - no need to purchase separate components. Includes installation hardware and multi-lingual instructions. Ul listed, CSA, NEMA 3R rated. 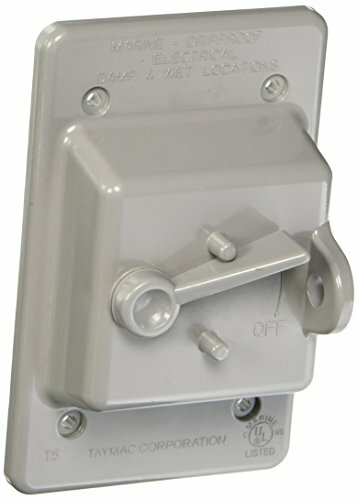 Bell Two-gang lever switch covers are designed to provide weatherproof protection for an outdoor on-off toggle switch. Covers are for use with bell Two-gang boxes. Covers are for mounting to a device. 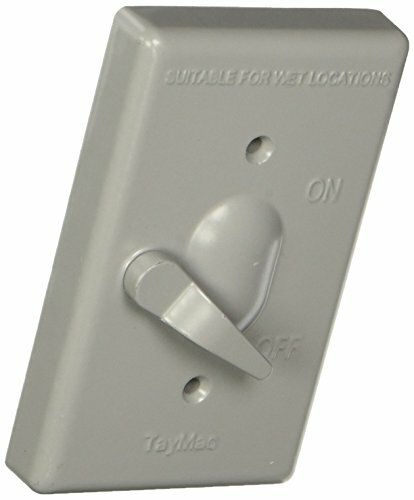 Greenfield, CTSVPS, 1 Gang Weatherproof Electrical Outlet Box Cover for Toggle Switch - Gray - Made in the U.S.A. by Greenfield Industries, Inc., Freeport, NY. Description: Designed to protect the potentially dangerous electricity supply in the most arduous of conditions, the SuperInk Storm range of IP66 rated weatherproof wiring accessories offer the best solution to safe outdoor power. The SuperInk 2 Gang 2 Way Dual Switch is IP66 rated for protection against water ingress. It has a robust, high impact UV stable switch housing for protection and safety. SuperInk switch is easy to install. It has clearly marked terminals with backed out captive screws. 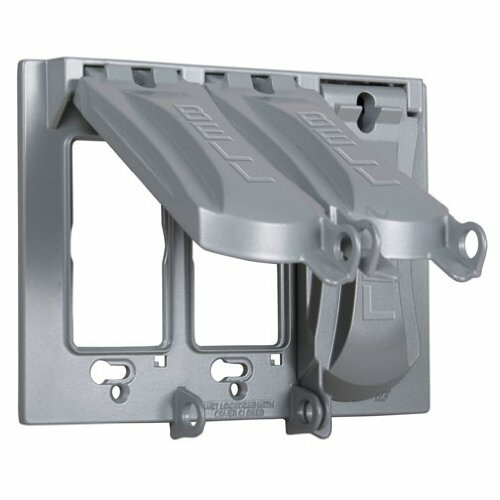 There is a choice of cable entries on five sides of the housing to cover all cable entry requirements. 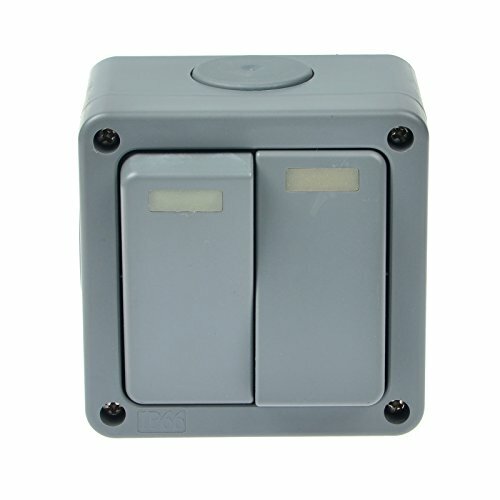 Features: Total Switch: 2 gang Switch Type: 2 way Dual switch Electrical Rating: 10A 125VAC 60Hz Ingress Protection: IP66 Multiple 20mm Cable gland entry from all sides(not included) Suitable for outdoor use Certificate: SEMKO,CE Designed for outdoor use, weatherproof and waterproof. Well protected from rain and water splash back, making them perfect for joining wires inside. Easy to install and easy to use. 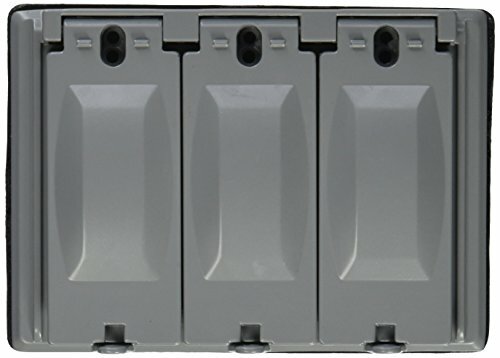 IP66 enclosures and junction boxes suitable for outdoor use with multiple 20mm cable entry. Protect against low pressure jets of water and dust. Weather proof junction box with terminal block to provide protection against splashes of water. Heavy Duty Hidden Hinges. Lockable Latching Tab secures cover to Prevent Accidental Disconnects. Pre-Installed Gasket. Easy-To-Assemble Building Block Style Adapter. Snap-In device adapter require no tools to install. 3 Gang - 125 Device Configurations. Individual Shrink Wrapped Packaging. cULus Listed. 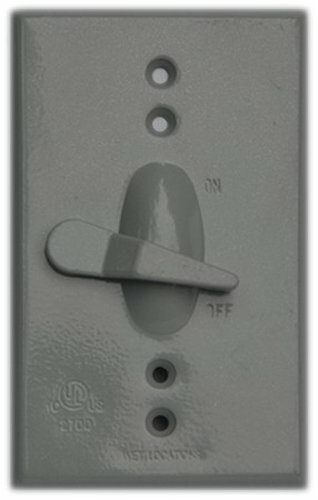 Hubbell Bell 5121-0 Single Gang Weatherproof Switch Cover for use whenever weatherproof protection is required for an "on-off" type switch. Rugged die cast construction. State-of-the-art powder coat finish provides maximum weather ability and scratch resistance. Includes installation hardware, gasket, and multi-lingual instructions. 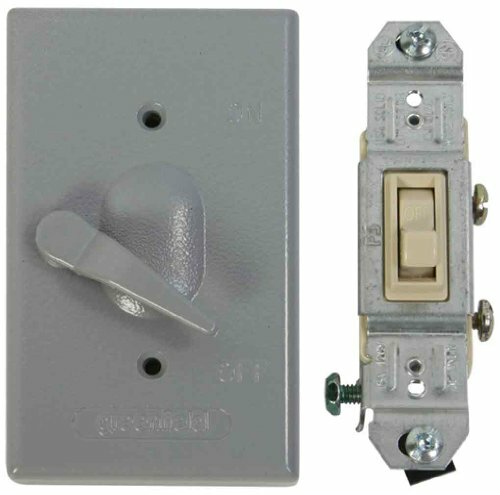 Two-gang toggle switch covers are designed to provide weatherproof protection for an outdoor on-off toggle switch. Covers are for use with weatherproof two-gang boxes. Covers are designed for mounting to the device. 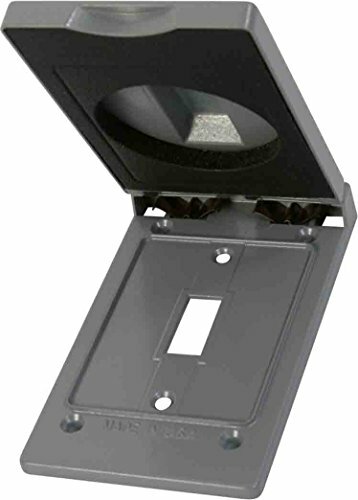 The Sealproof® 2-Gang Weatherproof Outdoor Metal Flat Outlet Cover is easy to install, UL Listed and NEC Compliant. Its patent pending multi-configuration design makes it a fit for your configuration needs. 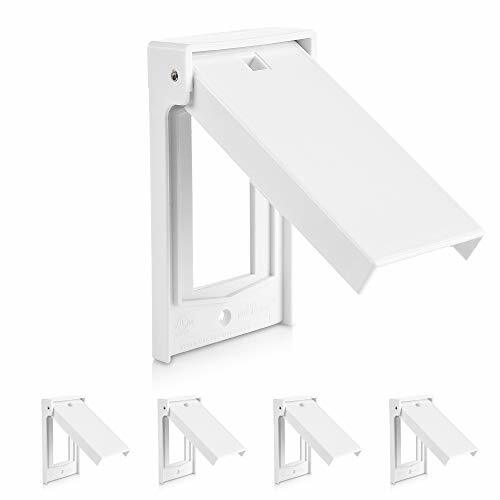 Easy to install, it is made of a die cast metal construction with a powdercoat finish. Includes gasket and mounting hardware. 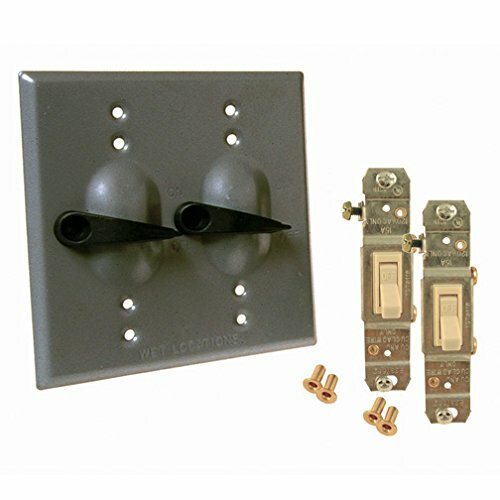 Compare prices on Weatherproof Switch Covers at LiveSaler.com – use promo codes and coupons for best offers and deals. We work hard to get you amazing deals and collect all avail hot offers online and represent it in one place for the customers. Now our visitors can leverage benefits of big brands and heavy discounts available for that day and for famous brands. We try to makes comparison shopping easy with Product Reviews, Merchant Ratings, Deal Alerts & Coupons. Find Deals, Compare Prices, Read Reviews & Save Money.